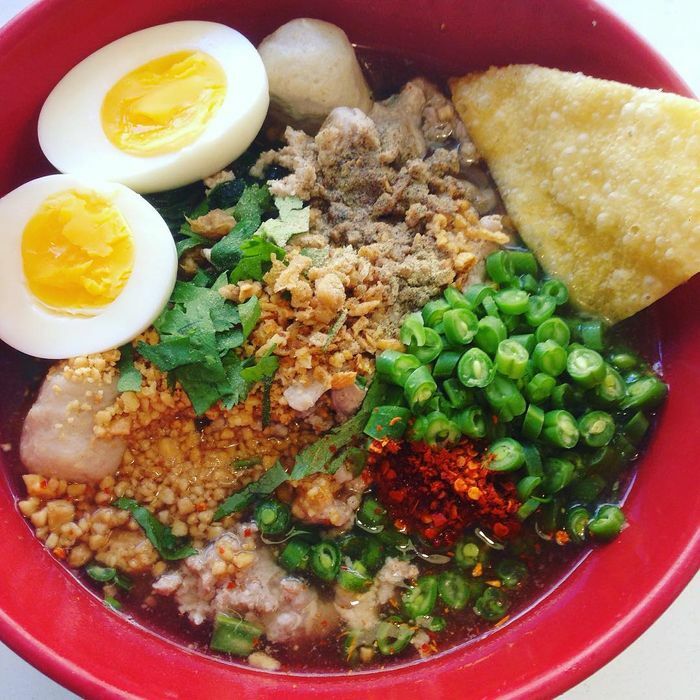 The gradual Thai takeover of New York continues unabated: Elmhurst favorite Plant Love House, which makes an excellent num tok and garnered a glowing Hungry City review from the Times, will expand to Brooklyn next month — specifically, 622 Washington Avenue in Prospect Heights. Scheduled to open December 15 — a little over a year after the opening of the first concept — the new restaurant will be called LOOK by Plant Love House. Co-owner and manager Benjaporn Chua, whose mother Manadsanan Sutipayakul is the chef, says that a lot of their customers travel from Brooklyn, and all of the requests to open up shop in the borough eventually convinced them to make the move. The idea behind the new concept is similar to the original, but there will “be more of what Thai mothers cook for their children.” Hence, the name: Look, Chua says, means children in Thai. Chua promises all of the noodle dishes, like crispy noodles with chicken curry and rice noodles with crab and pork, as well as her papaya salad. Plus, a rich and fiery pork blood soup known as num tok. This corner of Prospects Heights is a bit of a restaurant powerhouse itself, and about to get a lot more exciting: The forthcoming El Atoradero Brooklyn is opening a few blocks away, while Emily spinoff Emmy Squared will open just a few blocks away in Clinton Hill early next year. When the second Plant Love House opens, it will seat 20 to 25 people, with additional capacity for 20 in a backyard that will open during the summer. Chua says she’s expecting to have a beer-and-wine license, too.